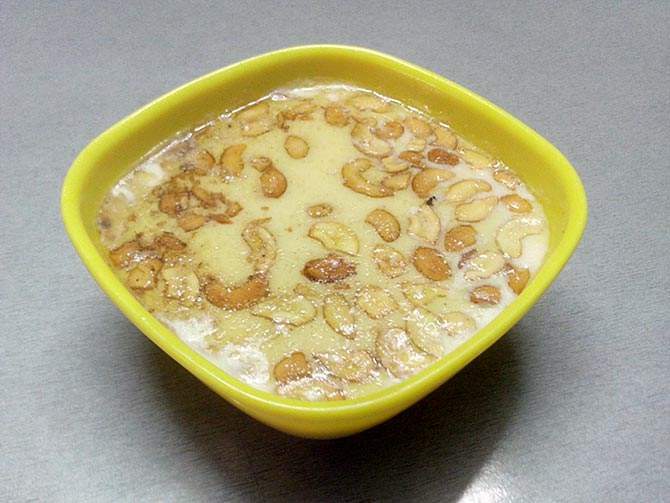 Hot payasam served in plastic containers can cause cancer. Next time, stop and think before sipping that steaming cup of payasam. The sweet post-lunch delicacy, served by hotels and catering centres in the city, often comes in plastic cups and containers which is really bad for health. To attract the Onam crowd, a government-owned store in Muthalakkulam has set up stalls to serve ‘Mulayari payasam’ at 30 rupees per cup and 300 rupees per litre. According to its regional manager V K Rajesh, nearly 500 to 600 customers visit the stall daily . "For takeaways or when sold in bulk, we usually pack the payasam in plastic containers. But for customers who would like to have it immediately, we serve in disposable cups”, he said. Though several hotels in the city claim that they parcel payasam in 'food-grade' containers, health experts argue that the plastic emits chemicals when hot payasam is poured into it. "We ensure that the payasam is poured into the food-grade plastic containers only after it cools down," said the manager of a leading hotel in the city. However, these containers, made of high-density polyethene substances, are more or less similar to regular plastic canisters and usually come with a plastic lid. According to Ashalatha Jayakumar, a doctor at Kozhikode Medical College, having hot payasam in plastic cups can cause cancer. “Plastics, as we all know, are extremely dangerous. Even the disposable cups that we get these days are coated with a layer of plastic. This, when mixed with hot liquid, would melt into the drink. If you want to have paayasam, have it in a steel cup or banana leaf," she added. Though catering centres in the city claim that they use steel containers, those which sprung up during the festive season without licenses serve food items in plastic containers. “There are many illegally run catering services in the city. They usually deliver payasam in plastic cups and bottles. However, we fill it in steel canisters," said Prabi Das, manager of Krishna Catering Services. Stay up to date on all the latest Kerala news with The New Indian Express App.